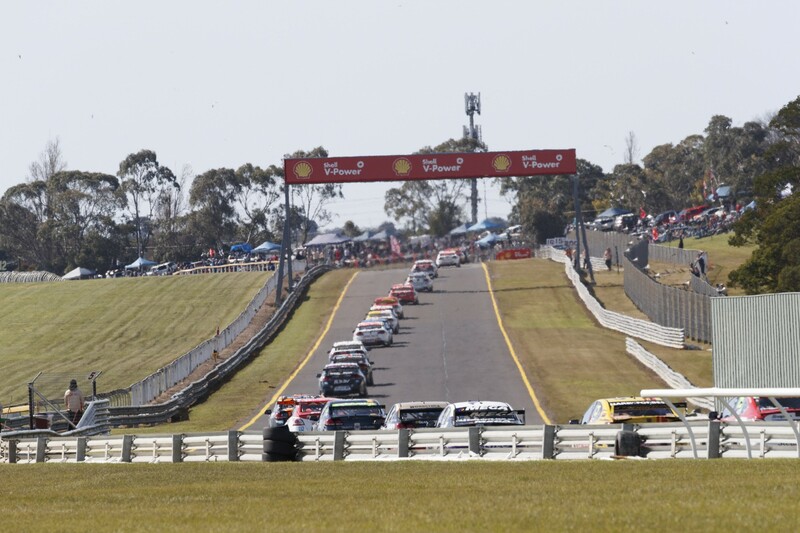 The Confederation of Australian Motor Sport and Supercars are working with the FIA on an investigation into seatbelts used in the category following the recent Wilson Security Sandown 500. The issue has been raised following the event after television footage appeared to show at least one harness that had been modified from its homologated state. CAMS and Supercars have both confirmed via statements that an investigation is taking place in conjunction with the FIA. “CAMS is currently looking into the issue, working closely with the FIA, Supercars and the relevant manufacturers,” said a CAMS statement. Supercars’ sporting and technical director David Stuart stressed the category’s dedication to safety standards. “We are working in conjunction with CAMS on this particular area with the safety of drivers always our highest priority,” he said. “Accordingly, we will work with CAMS and the FIA and we are seeking clarity in regard to their requirements. While no teams have been officially named, the Fox Sports broadcast appeared to show an anomaly with the belts on the Red Bull Holden Racing Team’s Shane van Gisbergen/Matt Campbell entry. It appears in the footage that the car’s left lap belt and shoulder belt were permanently connected to the five-point harness’ release box, rather than the single point that is homologated. Such a move would simplify the process of doing up the belt in a driver change, but potentially make it more difficult to extract the driver from the car in an accident. Red Bull HRT manager Mark Dutton told Supercars.com he does not believe any of his team’s cars were running with two permanent pins in the latch. He did, however, stress that the team has long used cable-ties to keep the lap and shoulder belts connected, making them easier to reach when unbuckled in a stop. That procedure has been accepted in the past and is widely used throughout the field, but is also outside the seatbelt’s FIA homologation and may be outlawed following the current investigation. “I need to check that one hasn’t slipped past the post, but our standard procedure forever has been cable-tying them,” said Dutton. “We started doing that in the earlier days with Jamie [Whincup], spending a lot of time and effort on the belts, elastics and cable-ties. “My understanding is that’s what we’ve always done and I haven’t seen otherwise in the car. “I’m looking forward to a clarification (on the rules) because it means we can lock down exactly what we’re doing (from Bathurst onwards). Seatbelt rules had also been tweaked before the PIRTEK Enduro Cup last year, when the FIA banned attaching elastic straps to the shoulder belts.